Marion Pyrlik has been teaching German at Collège Champittet for 5 years now. What she likes at Champittet is its atmosphere and “the good relationships amongst teachers”. She also says of her students that they are “hard-working” and that they “put a lot of effort into speaking the language”. 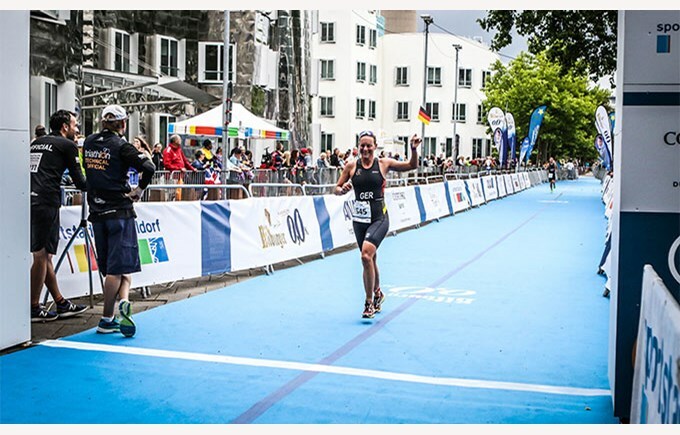 But what really defines Marion Pyrlik is her passion for triathlon. Indeed, during a few years, she stopped working as a teacher in order to become a professional triathlete. She participated in several world championships, with fourth place being her best result ever. A passion that still lives strong within her: in parallel to her job at Collège Champittet, she continues to participate in national and international competitions.